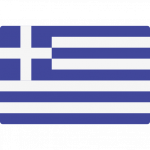 Dimitris Kyriakidis is currently seventh in Super League (Greece) and third in group Gr. 3 of Greece Cup (Greece) with his team Panaitolikos. Measuring 184cm, Panaitolikos'' average player height surpasses Dimitris Kyriakidis by 6cm. So far in the 2018/2019 season, he competed in 20 fixtures. 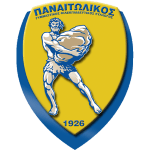 Back in 2015, Greek, Modern (1453-) goalkeeper Dimitris Kyriakidis's contract with Panaitolikos (Greece), the club he is still a member of, took effect. In terms of preferred feet, he is a right footer, like 82% of Panaitolikos. Having been born in 1986, on June 24, his age of 32 makes him senior to the average player of Panaitolikos. On the whole, Dimitris Kyriakidis never joined the pitch after kickoff. In the present term, he played less games until end. 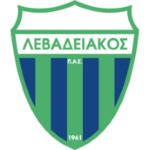 The briefest time his spent on a team counts ten months in Panseraikos FC (Greece). As for winning percentages, he won with Panaitolikos 40% of their home matches (40% in total) in Super League and not a single recent match in Greece Cup. Panaitolikos enjoys a 2-game winning streak during the last 5 games of the current season. Panaitolikos'' jersey number 82 is Dimitris Kyriakidis. He weighs 78kg which is 5kg more than his team's average heftiness. It's been ten days since he played his latest match. 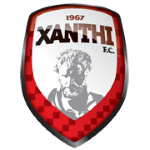 Before joining Panaitolikos, Dimitris Kyriakidis was engaged in the squads of AO Xanthi FC, Panseraikos FC, Agrotikos Asteras FC, PAOK FC and Apo Levadeiakos FC. His portfolio includes one accidental own goal, which happened with Apo Levadeiakos FC in a match of Super League 12/13 (Greece). He completes Panaitolikos'' goal department, alongside players like Dimitrios Theodoropoulos and Nikos Giannakopoulos. Dimitris Kyriakidis received 25 penalties throughout his entire career (of which 24 where yellow). This leads to an average of 1.92 cards per season. In the current playtime, he caught 3 yellow and 1 red cards. Super League 16/17 (Greece) has been his best season so far since he played the most matches in his career. 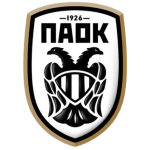 Six years and 31 days was the maximum period he ever played in a team, which is PAOK FC (Greece).